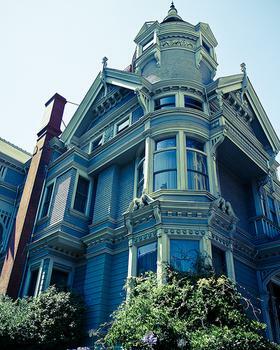 This is an 11,500 square foot Queen Anne Victorian, built solely out of redwood in 1886 for William Haas. This is an 11,500 square foot Queen Anne Victorian, built solely out of redwood in 1886 for William Haas. It has been fully preserved as per its original design. It presently houses the San Francisco Architectural Heritage which offer tours inside the house and around the grounds.